Challenging the union Government's attempt to re-promulgate Right to Fair Compensation and Transparency in Land Acquisition, Rehabilitation and Resettlement (Amendment) Ordinance, a Public Interest Litigation (PIL) has been filed in the Supreme Court challenging the power of the government to do so. The Petition filed by three Delhi-based NGOs and Bharatiya Kisan Union (BKU), contented that, "The government in complete contravention of the basic constitutional ethos that lawmaking function is of Parliament has proceeded to issue the impugned ordinance and seek to govern this country by ordinance raj. 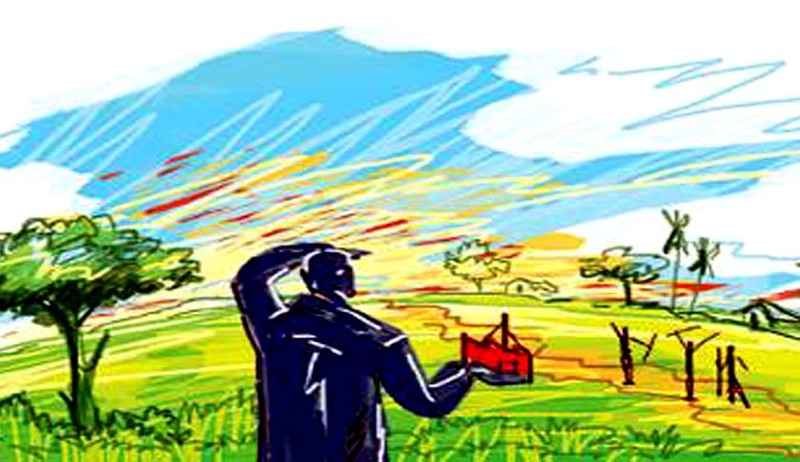 It is the third ordinance to be passed successively by the central government in its attempt to thrust a land acquisition law in the country which does not have the sanction of Parliament." Earlier in a PIL challenging the ordinance which is already under Judicial review, the SC had issued notice to the Centre. The Petitioner advocate, Devadatt Kamat, argued that "it is not only arbitrary and violative of Article 14 of the Constitution but is also a fraud on the Constitution", for the government to promulgate successive ordinance assuming itself the legislative power of the parliament. Narendra modi government according to the Petitioners is trying "govern the country by ordinance raj" which was not permissible. “It is well settled that executive cannot be permitted to do indirectly what it cannot achieve directly. Merely because the executive does not have the number or political will/consensus, the executive cannot be permitted to continue the lawmaking exercise by way of an ordinance," the petitioner added.